Arnhem Land - Spirit country in Outback Northern Australia. Home to the oldest living culture in the world and perhaps the one area left in Australia where Iindigenous culture is still dominant and traditional practices still exist, Arnhem Land is still a tourist destination unknown to most Australians. 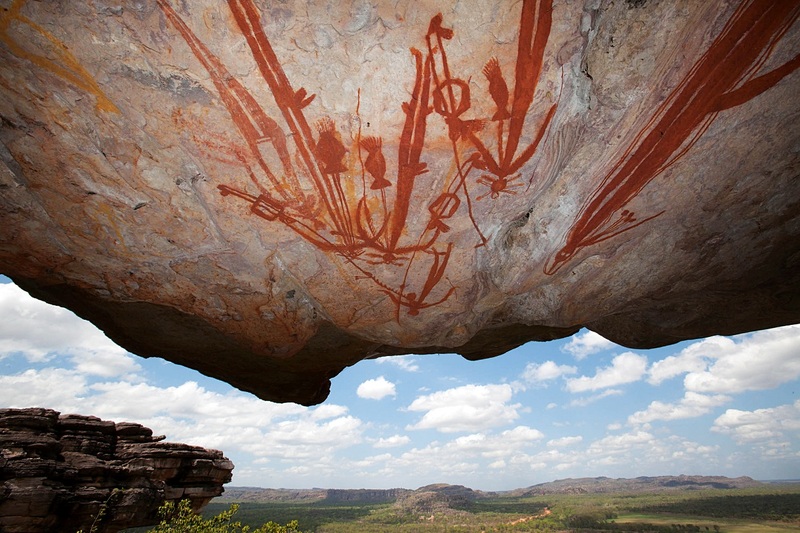 So what is Arnhem Land and how do you get there? Situated in the far north-east corner of the Northern Territory approximately 250km from Darwin, Arnhem Land is a region approximately 97,000 km2 in size. Although occupied by Aboriginal custodians for over 40,000 years, it was formally declared an Aboriginal Reserve in the early 1930's. When Aboriginal land rights were introduced in 1976 many Aboriginal people returned to their traditional homelands to care and look after their country and culture. As a result, today we have an area rich in biodiversity. Although beliefs differ from clan to clan, it is generally understood that the countryside, ocean, people and laws to live by were all handed down by spiritual ancestors. Today, we are fortunate to be granted permission to visit several regions of Arnhem Land and experience one of Australia's most pristine environments cared for by an ancient living culture. If you're feeling adventurous and like nothing else than getting away from mobile phone reception to really take in the spirit of our great land, then you may just want to jot this place down on your bucket list! There's a number of ways to get to Arnhem Land and a number of tours to choose from. Whether you're looking for a small group luxury tour, an extreme fishing package or a multiple day cultural camping tour, its all available. Venture North operate twice weekly departures from Darwin exploring the waterfalls, wildlife, rock-art, community life and coastal regions of western Arnhem Land over five days. All you need to bring is your luggage and everything else will be taken care of for you. Private tailor made tours to east, central and western Arnhem Land are also available on request. These tours are designed to suit your personal needs and can be anything from one day to two weeks in length. To find out more or ask questions, click here. Cobourg Fishing Safaris operate fishing, marine, heritage and cultural tours in far north Arnhem Land on the Cobourg Peninsula. The area is protected by the Northern Territory's largest Marine Park meaning excellent barramundi and blue water fishing plus an abundance of marine animals such as turtles and dolphins. You can either drive yourself (permits are required prior to travelling) or Cobourg Fishing Safaris can book flights for you to fly direct.